According to Future Market Insights, about 204.8 billion corporate consumer users are forecast to be using IP-enabled telephony by 2020, accounting for $86.20 billion in global revenues. Infonetics found that in North America, 45% of businesses are already using SIP trunking. This is expected to increase to 67% this year. That’s a lot of folks taking advantage of the modern approach to voice communications, but is it right for your business? Here are some signs that you should consider making the move to an IP phone system now, rather than later. Adding more traditional telephone lines is an expensive and time-consuming proposition. You have to wait for physical lines to be installed and make room for the additional equipment. What’s worse is that traditional phone lines are sold in groups of 23, meaning that you will likely need to buy more than you need at any given moment. SIP channels, on the other hand, are sold one at a time, on-demand. You can grow as quickly as you like without making guesses about your future needs. This one might seem counterintuitive. Many people assume that because SIP trunking is cloud-based and modern, that it requires technical expertise to install and manage. Fortunately, that’s not the case. If you choose the right provider installation is simple and maintenance is done in an easy-to-use online control panel. The move to SIP puts everything on one network, making your technical infrastructure less complicated than it is today. 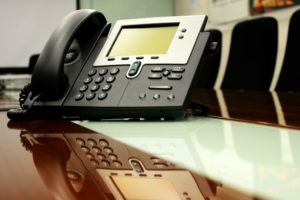 SIP trunking and unified communications go hand in hand. If your team could benefit from integrated video, presence, instant messaging, or application integration, SIP is the perfect companion to your IP PBX. The fact that the public switched telephone network (PSTN) is going to be phased out in the next 8 -10 years means that all businesses will make the switch to SIP trunking eventually. If any of these four factors are at play in your business, there’s a lot to be said for making the transition now.